What’s good about hurricane Irene? I can’t think of anything good, at least anything good enough to make up for the bad and the ugly side of hurricanes. But there is at least some good and I’ll get to that later, but first the ugly and the bad. The Ugly… People were killed by this storm. It doesn’t get any uglier than that. When I was a kid I’d look forward to hurricanes, blizzards, hailstorms, all sorts of bad weather. It was exciting and I had no real understanding of the consequences. As an adult I still enjoy a good storm, but now I understand what the word storm really means. 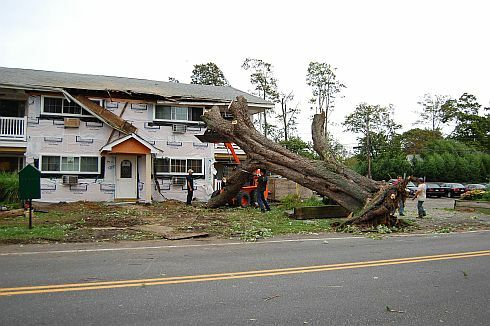 The Bad… The economic damage caused by hurricane Irene is enormous. A lot of people are still without power this morning and have thrown away everything in their refrigerators and freezers. Aside from the cost of physical damage there is an almost immeasurable amount of business lost due to damage, loss of inventory, no electrical power, or lost productivity. According to an article in Newsday it looks as though the majority of Long Island tourism businesses in wine country, Fire Island, and Montauk Point will be in good shape for Labor Day weekend, but will not recover the losses incurred last weekend. Greenport was one of the first areas to have power restored, so I expect that businesses there will be in very good shape. The Good… Well aside from neighbor helping neighbor which we see plenty of during disasters like Irene, I discovered one benefit of not having electricity. This is something that very few people would appreciate, but to a geek like me it was pretty cool. 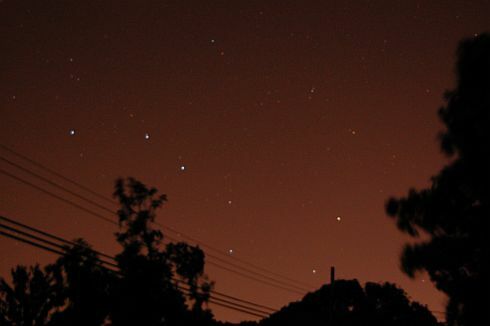 No electricity means no lights and no light pollution. The sky was dark. Dark enough to see the Milky Way. Unless you live on the east end where the sky is a lot darker than is it here in western Suffolk, this is a rare sight. Maybe it’s hard to appreciate a dark sky when everything in your refrigerator is going bad, but there is an old saying about making lemonade–and it really is a good way to deal with bad things. I wish more folks would look up. Even when we do have electricity and the sky is lit bright by the torches of civilization there is still plenty to see. Look up and see all the beauty!